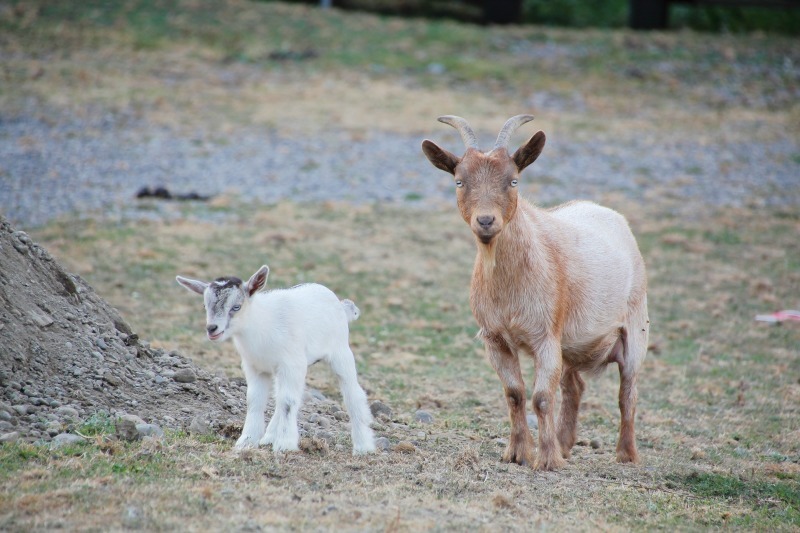 If you are a young family and are looking to add goats to your homestead, then miniature goat breeds might just be the fit you have been looking for. These adorable sized goats give you all the benefits of a large goat without needing to dedicate a full farm to raise them. 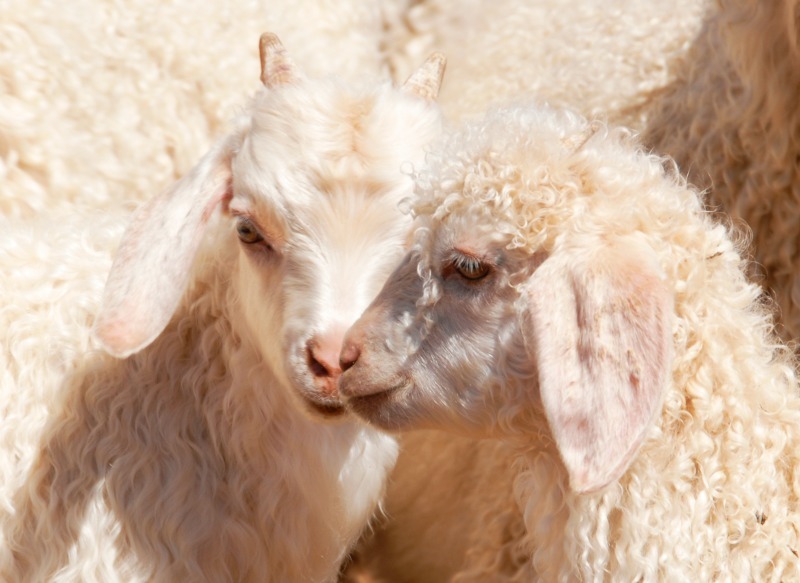 The cutest of the goat breeds because of their size they are gaining in popularity with many families. 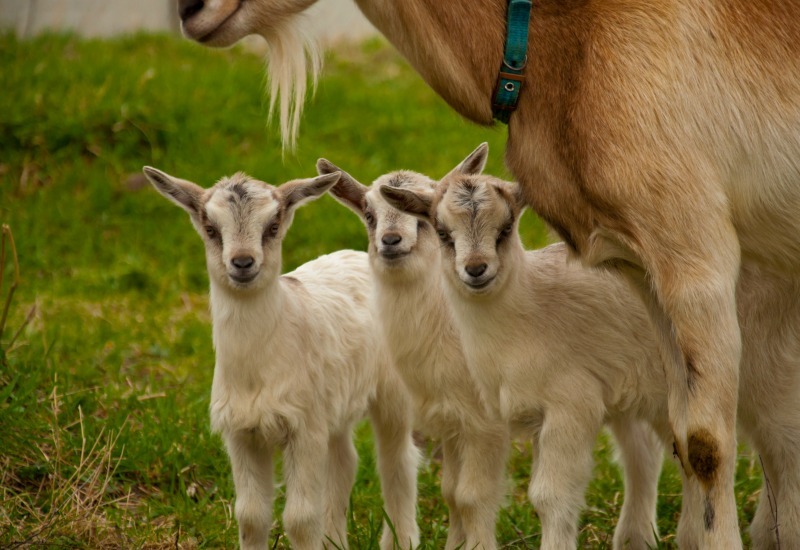 For this reason, many backyard homesteaders are turning to these pint-sized goats and because of that, their popularity is on the rise. But don’t think miniature goats are only for homesteads, because of their size and gentle temperament they make great pets too. As the name says, these goats are miniature and that means small. Adorably so. Small enough so you can encourage your children, even the youngest ones, to help out with farm chores. A great way to teach responsibility at a young age. Their size also means less space and less feed is needed to raise them. Which really helps with the initial cost of getting started with goats. Less fencing, less hay, less barn. Although I have never had miniature goats, I do know many that raise them and they just love the pros of their small size. And with their popularity rising it is getting much easier to find a wide range of miniature goat breeds in just about any area. Before we dive in, just a few words of caution. There is a reason why I do not have miniature goats. Their small size is a con for me and one I needed to really take into consideration when we first started out with goats. Small goats mean smaller teets, with some being very small, and if you plan on milking on your homestead you will want to keep this in mind. Hand issues, such as Carpal Tunnel or Arthritis, can make milking small teets very difficult. The reason is, when the teets are small you will need to milk with just your thumb and fingertips rather than your entire hand. Cramping was a big issue for me and with the smaller teets, I found it painful to do day in and day out. Larger teets allow you to use your full hand and that was big for me. Now I can milk with no issues at all. Another option for milking is to purchase a hand pump milker. I have the Henry Milker and I just love how simple it is to use. When my hands are acting up I can use this milker to give myself a break. I also rely on this milker when Hubs and I travel. Our farm gal is able to step in and milk whenever we need her to with this hand milker. That is a game changer for any homesteader. Being able to leave and travel is the very best of both worlds! 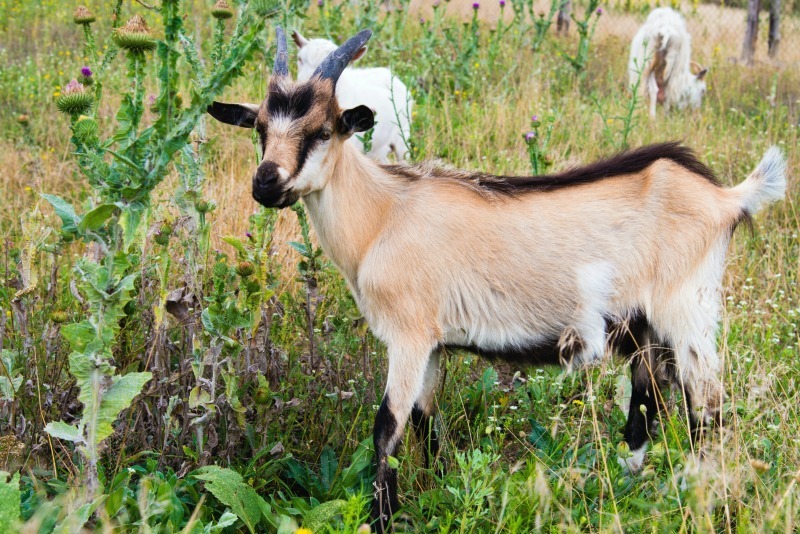 What is needed on your homestead before you add goats? Shelter – Make sure you have someplace for your goats to go where they can get out of the elements. Rain, wind, snow all require shelter. A barn shed, or lean too will all work well for small breed goats. And if you choose a miniature breed of goat you can even get away with a dog house or plastic igloo like this one. These igloos will hold a surprisingly large amount of goat kids as they love to climb inside and cuddle up on chilly evenings. It is a comical sight to see all these baby goats come out in the mornings at feed time. Like clowns piled into a car, it makes me laugh every time I see it! This is another plus to these small goats and one of the biggest draws to them. Feed – Mainly a good alfalfa hay is all that is needed along with grain for kids and breeding goats. 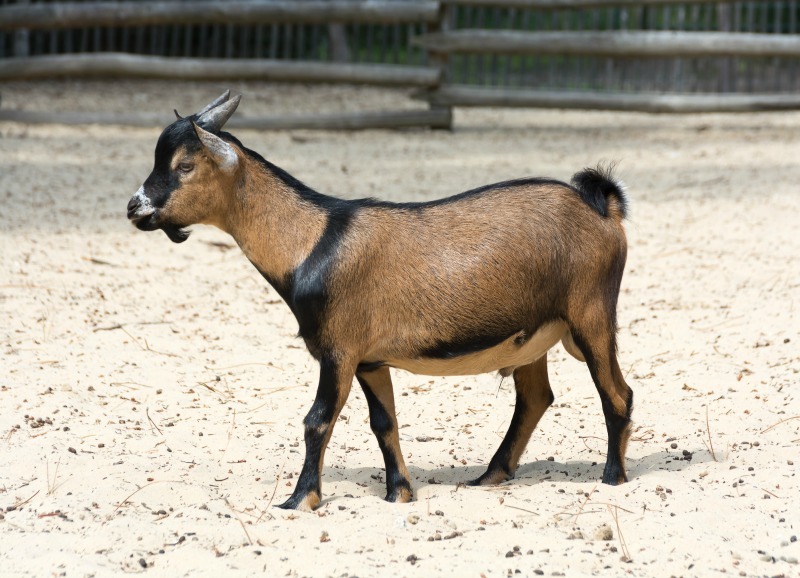 Browse – Having a place for your goats to graze is ideal and if you choose one of these small breeds you will not need nearly as much as any of the full sized goats. Water – Always, ALWAYS, have plenty of fresh clean water. This will not change for any breed of goat or any animal for that matter. Make sure you have more than one water source as well. I have these fence buckets all over our farm and our animals will use them all throughout the day. Water is the key to healthy and thriving animals and something you need to pay very close attention to. These might just be the best of the small dairy goat breeds since they have the largest teets making milking a bit easier on the hands. They can produce about a ½ gallon of milk a day and their milk has a nice butterfat content. A gentle well-natured goat they are pleasant and fun to have on the farm and seem to do very well with kids. The average weight is 65-70 pounds and they stand at an average of 20 inches tall. Kinder goats are a cross between a Pigmy and Nubian goat. They are a heavier breed so they tend to run around 100 pounds making them an ideal meat breed. The plus of cross-breeding with the Nubian goat is getting access to that higher buttermilk fat content. Another gentle goat, they are a favorite for pets as well as a homesteading addition. Goat meat is gaining in its popularity so the Kinder goat might just be the perfect fit if you are looking for a meat and milk cross. The average weight is 100-110 pounds and they stand at an average of 20 inches tall. 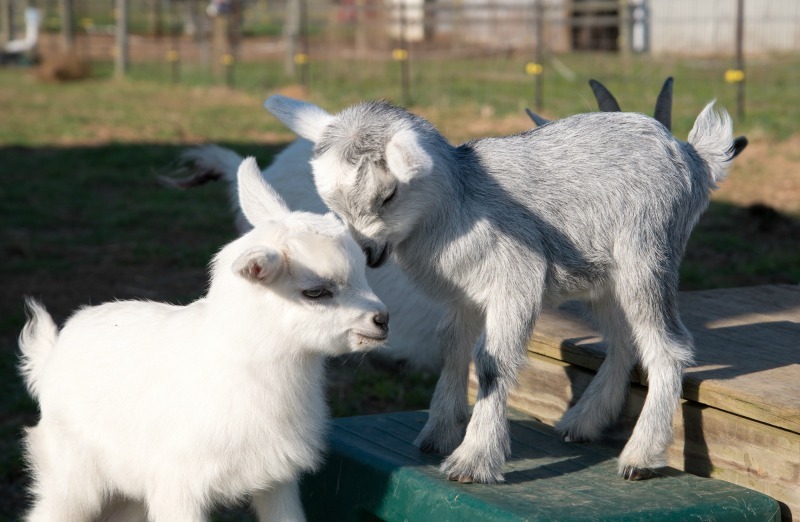 These adorable small goats are another heavier breed making them a great option for a small homestead. They are more on the stocky side and for that reason are raised for meat rather than milk. A calm and submissive breed making this gentle goat a wonderful addition to the family homestead. The kids just love to climb and play so having obstacles will not only give them hours of enjoyment but you as well! The average weight is 60-75 pounds and they stand at an average of 18 inches tall. Also known as the Nubian Dwarf, they are just like with the full sized Nubian goats just in an adorable pint size! These small goats have a really nice butterfat content to their milk making it taste heavenly. If your family is new to goat milk this sweet version might just help to win them over. They are known for their long pendulous ears (which I am a total sucker for!) and playfulness. Some mini breeds lose that trait a bit, but others still have those wonderful ears. The average weight is less than 100 pounds and they stand at an average of 24 inches tall. If you are looking for a dual purpose goat, then these next options just might be what you are looking for. Pygora goats are a cross between a Pygmy and Angora goat. This cross combines a milking and fiber goat all in one and with its small manageable size its a perfect fit for the young family. Even though they are a milk goat cross, their production is not high, so this goat is more for the coat than the milk. The Pygora will either produce a Cashmere type fleece or Mohair type fleece or a combination of both. Fibers are removed with an electric shearer and once collected are woven into a beautiful thread that can be used or sold to artisans. The average weight is 75 pounds and they stand at an average of 19-20 inches tall. Similar to the Pygora goat, Nigora goats are a cross between a Nigerian Dwarf and an Angora. Again the draw here is getting both milk and the wonderful angora fur. The fur is again the same as the Pygora goat and can be removed and sold in the same fashion and with the same tools. Nigoras run a bit smaller than the Pygoras. By cross breeding with the Nigerian or the Pygmy, this will add milk production to this beautifully fibered goat. The average weight is 70 pounds and they stand at an average of 18 inches tall. Have you always wanted to add goats to your homestead but were just a bit nervous by the size? Then I would definately check out any of these miniature goat breeds. Now you can have fresh milk with goats that are the size of a large dog. How’s that for a win win?